I ordered these to blend with the existing bedroom furniture we have that is a mix of natural/rustic and coastal style. The best part about these is that they came fully assembled! The quality is very high for the price. They look great with our other pieces. Shipping was fast. I’m very satisfied with this purchase and would biy other products by this brand and recommend to friends. 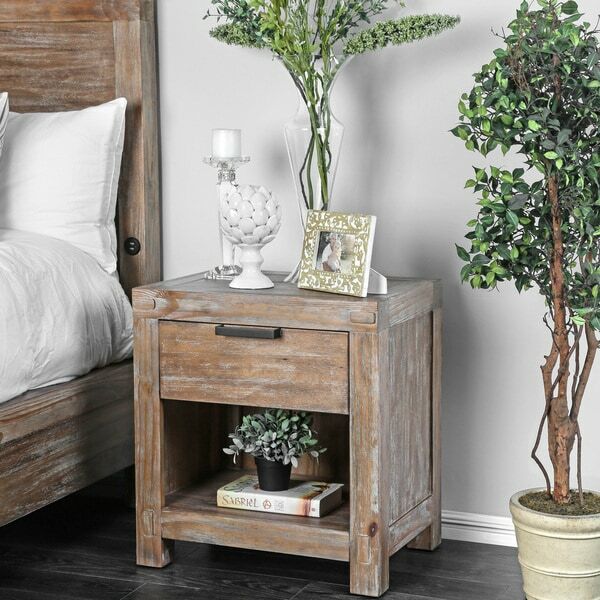 Bring the outdoors in with this beautiful Furniture of America Delton Rustic Nightstand and its aged finish. This rustic nightstand features a drawer and lower shelf for storage. The drawer has smooth ball bearing metal glides and quality English dovetail construction for strength. A felt lined top drawer adds an extra special detail. Dimensions 25.0 In. X 18.0 In. X 27.0 In. 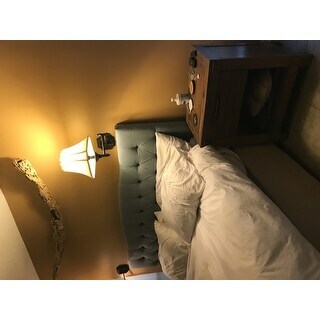 The nightstand that was delivered is in NO way like the picutre on the website! It is not weathered and the color is not light oak! We are not happy and want to return the nightstand to you at NO cost to us. 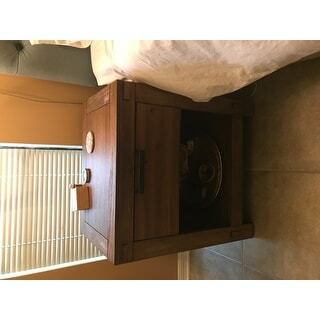 Very nice night stand, nice quality.